From a largely agricultural country with a predominantly rural population, by the 1980s Bulgaria had transformed into an industrial economy with scientific and technological research at the top of its budgetary expenditure priorities. The loss of Comecon markets in 1990 and the subsequent „shock therapy” of the planned system caused a steep decline in industrial and agricultural production, ultimately followed by an economic collapse in 1997. The economy largely recovered during a period of rapid growth several years later, but individual mean income remains one of the lowest in the EU at 768 leva (€393) per month. The strongest sectors of the economy are heavy industry, power engineering, and agriculture, all of which rely on local natural resources. Economic activities are fostered by the lowest personal and corporate income tax rates in the EU, and one of the lowest public debt of all member states. Extraction of metals and minerals, production of chemicals, machinery and vehicle components, petroleum refining and steel production are among the major industrial activities. In recent years, Bulgaria has emerged as a travelling destination with its inexpensive resorts and beaches outside the reach of the tourist industry. Lonely Planet ranked it among its top 10 destinations for 2011. Bulgaria is an active member of CERN and has contributed to its activities with nearly 200 scientists since its accession in 1999. The ICT sector generates 10 per cent of GDP and employs the third-largest contingent of ICT specialists in the world. The National Center for Supercomputing Applications (Bulgaria) is a research institution located in Sofia. It was established in 2008 with the aim of promoting and regulating high-performance processing operations of scientific information. 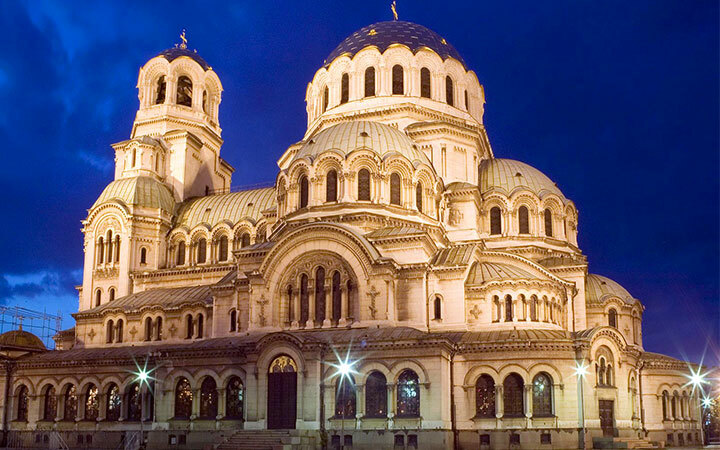 The NCSA works in affiliation with scientists and researchers from the Sofia University, the Bulgarian Academy of Sciences, the Technical and Medical universities in Sofia. The center operates the only supercomputer in the Balkan region. Higher Education in Bulgaria is highly appreciated on international level. Thousands of Bulgarian medical Doctors are working in Uk, Canada, France, Germany and all over world. The University of Sofia has been listed by the Center of World University Ranking 2014.